Starting today, all VK communities have the ability to enable a convenient way of accepting payment for goods and services right on the social network. VK is beginning testing on the VK Pay payment platform, a platform that allows money transfers to happen instantaneously, just as they would at any store. Unlike other payment services, VK Pay does not take a commission from buyers or sellers upon adding, removing or transferring money. This was possible thanks to Gazprombank, which became a partner in this project and took over all the costs of such commissions. VK is also launching a program to support business owners who actively use VK Pay. For successful orders, community managers will receive gift codes for advertising on the social network. 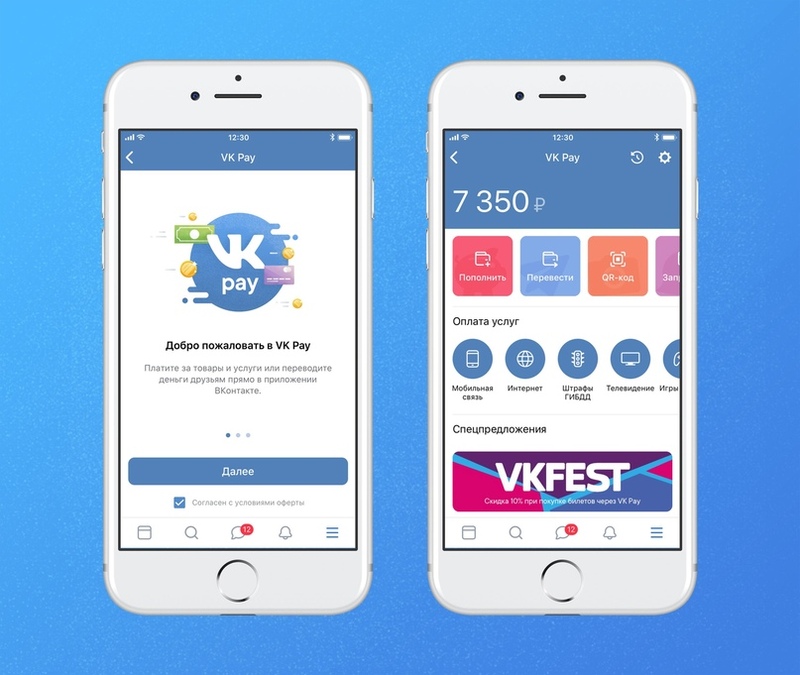 The social commerce platform is only the first stage in the launch of the VK Pay payment platform. During this test period, users can make purchases and pay for services in a special section on VK as well as on the websites of VK Pay partners. Offers from companies such as OneTwoTrip, KASSIR.RU, Grow Food, DOC+, SHOWGOGO, Bubble, LitRes and Delivery Club are already available to test participants and the list of partners with exclusive deals will constantly be added to. Access to VK Pay will gradually become available to all VK users. “VK Pay has the potential to become one of the largest players in e-commerce in Russia. Taking into account VK’s audience and its willingness to make purchases, the size of the market could be discussed in terms of a hundred billion rubles in the perspective of the next several years”. “Launching payment services for goods and services is undoubtedly the correct step to take after launching p2p money transfers in order to continue creating a full-fledged payment ecosystem inside the social network. At the same time, Russian offline commerce is a huge market for the introduction and popularization of payment innovations, where contactless payment services, such as Apple Pay and Samsung Pay, are beginning to be used more actively. WeChat has already cautiously started to work in this field in Russia. Given VK's multimillion-user base, VK Pay has the potential to compete for this market and the first steps to position VK as an independent ecosystem have already been made. Nevertheless, we need to work more actively with merchant services and implement functionality similar to WeChat”. “We see a huge potential in working with the VK social network and Mail.Ru Group in general. The joint projects we are now embarking on fully correspond to Gazprombank’s program of technological transformation. They are aimed at providing products and services in the digital space to our customers on the basis of fundamentally new approaches fueled by the rapidly changing financial services market and the growing needs of users“. Later this year, larger new functions will be added to the VK Pay platform. Since 2015, more than 490,000 communities have enabled VK Products.